A re-elected Turnbull government wouldn’t sell the ABC, whatever scare Bill Shorten might be raising. But you’d have to be an optimist to think that if it wins, it won’t intensify its bullying and denigration of the public broadcaster. There is more than a little irony in the Liberal federal council on Saturday delivering Labor a campaign issue around the ABC before the Super Saturday byelections. Just a while ago, the government was surfing on the skirmishing on refugee policy ahead of the ALP national conference, only to see that dispute put on the backburner when Labor delayed the conference because the byelections were set for the same date. Unlike Labor, where conference policies formally carry heft with the MPs, Liberal council motions are non-binding. This one has been described as “virtue-signalling” to the base. I think it is rather more serious than that. It will reinforce the anti-ABC sentiment of some in government ranks – which has reached, frankly, absurd levels. The fact that Malcolm Turnbull and his colleagues did not, would not, could not prevent its passage says a lot, especially about the Prime Minister. When he was clawing his way towards the leadership, Turnbull was the conspicuous friend of the ABC. Now he’s critic-in-chief, as Communications Minister Mitch Fifield and the Prime Minister’s Office fire off complaints about errors and interpretations. No one should object when the prime minister or ministers call out journalists’ factual mistakes (though they make quite a few of their own). And it is absolutely their right to argue the toss on commentary. But we know there’s a lot more to this than robust criticism. Much of it is an attempt – that to a degree has been successful – at intimidation. This isn’t the first government to engage in ABC bashing. On the other side of politics, the Hawke government at one stage had (to borrow a Turnbullism) a red hot go. But I don’t remember any government sustaining the onslaught so strongly for so long. What makes the assault even more concerning is that it is part of the culture wars now engulfing multiple fronts of public debate. The media provide battlegrounds and targets in these wars. News Corp, fuelled by financial imperatives as well as ideology, relentlessly stalks the ABC. 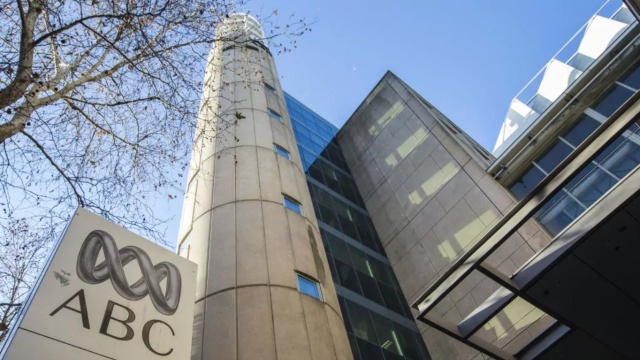 News Corp is squeezed between the strains on the commercial media’s business model and the successful expansion, especially online, of the ABC. The ABC is cast not simply as another competitor, but one that must be discredited in terms of both professionalism and legitimacy, by portraying it as out of touch with the “mainstream” and robbing the commercial media of what’s rightfully theirs. As parts of News Corp have increasingly become bold, self-declared standard-bearers for the right, they are ever drawn to the ABC as a useful punching bag. One can see what’s in this for the ABC’s commercial competitors, and indeed for a right wing think tank such as the Institute of Public Affairs (IPA), which urges that the ABC be privatised. It’s more difficult to discern what the government gets out of its obsession with attacking the ABC to a degree disproportionate to the alleged sins of individual journalists or the organisation as a whole. Perhaps it’s a gesture of frustration – kicking the car tyres when you find you have a puncture. Or the feeling that if you can just cower the buggers, they mightn’t be so “biased” – ignoring that the perception of “bias” mostly varies according to where you’re coming from, and in journalism, the notion of giving diverse viewpoints a fair go can be a more manageable one. It’s noteworthy that for all their carrying on, ministers still seem anxious to appear on the ABC. If it were so bad, so unresponsive to the “mainstream”, you’d think some might be calling for a boycott now and then. One reason why they line up is they actually know the public regards it as a trusted and credible media outlet. The Australia Institute at the weekend released an ABC question taken from its earlier ReachTEL poll in Mayo that showed crossbencher Rebecca Sharkie leading Liberal Georgina Downer 58-42% in two-party terms. The June 5 poll asked: “In the budget the government cut the ABC’s funding by A$83.7 million. Do you think funding for the ABC should be reduced, increased, or stay the same?” Nearly three quarters said funding should be increased (40.5%) or stay the same (33.5%), with only 23% saying it should be decreased. Last week Shorten promised a Labor government would restore that funding. The Liberal council motion has played into his hands. In Mayo, the council motion has handed Sharkie a small gift. There will be interest in what Downer, who comes from the IPA, has to say about how she would like to see the future of the ABC. Not quite as interesting, however, as hearing members of the Turnbull team protest they really are committed to the ABC, however badly they behave towards it. That they have to do so is a sort of perverse justice – the price of overreach.